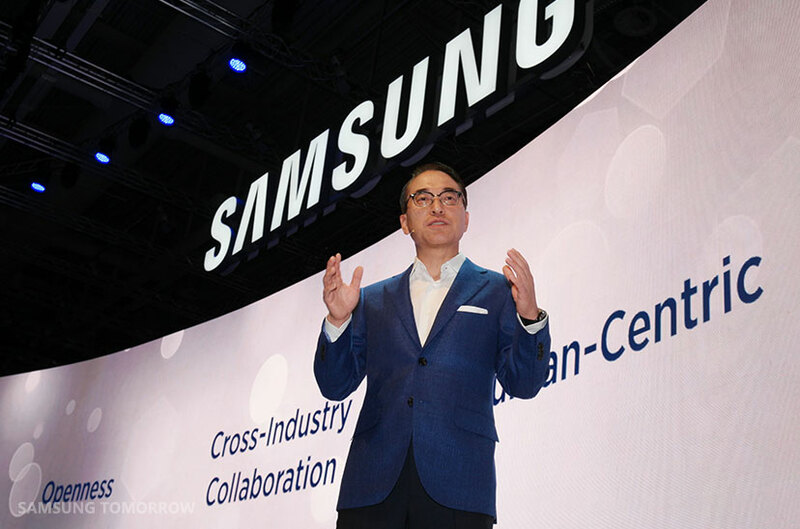 Samsung Electronics demonstrated how it is taking the Internet of Things (IoT) from vision to reality, using its IFA 2015 press conference in Berlin to showcase a range of new connected devices and IoT services. Samsung’s latest contributions to the rapidly growing IoT ecosystem are deeply rooted in the company’s core philosophy for IoT: openness, cross-industry collaboration and – most importantly – a human-centric approach. To get a sneak peek of the infinite possibilities of IoT, visit Samsung’s IoT zone at the center of Samsung’s stand in the CityCube at Messe Berlin, which was created in collaboration with renowned architect Feruccio Laviani. Samsung SmartThings launched a new line-up of more powerful and easier to use IoT devices, and is taking them global. Alex Hawkinson, the founder and CEO of SmartThings, said that for the Internet of Things to succeed, IoT devices must to be extremely user-friendly, while also giving consumers the ability to customize and seamlessly access tools that offer peace of mind when they’re away from home. The new Samsung SmartThings Hub, sensors and updated mobile app, launch in the United States today, in the United Kingdom next week, and will roll out across Europe in 2016. The new Samsung SmartThings Hub has a more powerful processor that enables video monitoring, and includes a battery backup that lasts up to 10 hours in case of a power outage. Balancing privacy with security, the video monitoring capability allows people to access a livestream at any time, yet only records video when an unexpected event, such as motion by the front door, is detected. SmartThings is also introducing a new solution called ‘Smart Home Monitor’ which provides unified access and control against intrusion, smoke and fire, leaks and floods, and other common household issues by delivering real-time notifications and video clips from multiple cameras via the SmartThings app. A good night’s sleep is one of the most important factors for a healthy life, and Samsung SleepSense helps consumers to better understand and manage their sleep. The sensor is a flat disk, and simply by placing it under a bed’s mattress, it provides contactless monitoring of a person’s heart and respiratory rate including movements during sleep. The SleepSense is a connected device that helps create the best environment for falling and staying asleep. It connects to Samsung appliances as well as third party IoT devices; for example, when the user falls asleep, the application will automatically turn off the television, and adjust the heating or air conditioning for a perfect sleep environment. Based on SleepSense’s daily sleep scores and reports, which can be seen on the user’s smartphone, the application provides expert advice and recommendations, taking into account each individual’s metabolism – the result of a collaboration with Dr. Christos Mantzoros from Harvard Medical School. SleepSense delivers an accuracy of up to 97% in the comfort of your own home. Samsung is committed to expanding the UHD ecosystem by partnering with companies including Amazon, Netflix, Wuaki, Chili, Strefa VoD, Videoland, and Videoload, as well as regional broadcast partners across Europe, including Canal Plus, British Telecom (BT) and HD+, who are all vital for creating and delivering UHD content to a global consumer base. Through these partnerships with global leaders in the UHD space, Samsung is bringing commercial UHD broadcasting to market, so users can enjoy their favorite shows and programs in the premium picture quality they desire. Samsung also has partnered with Gamefly to launch Gamefly Streaming – a subscription service that brings the world’s favorite games into peoples’ living rooms – without the need for consoles, cables or discs. Gamefly works by streaming popular titles over the Internet, with games including Batman: Arkham Origins, Lego Batman 3, GRID 2 and HITMAN Absolution – all available directly on Samsung Smart TVs. Samsung’s No. 1 commitment is to provide users with TVs that produce the ultimate viewing experience. Samsung’s SUHD TVs are capable of displaying High Dynamic Range (HDR) picture quality, which showcases greater contrast, brighter colors, intricate shadow detail and distinct highlights. Overall, the picture appears more vivid and authentic than ever before. Owners of Samsung TVs can celebrate that their TVs are the first on the market that support the new HDMI 2.0a specification, which enables the transmission of HDR metadata across external HDR-compatible sources. The software update provides SUHD TV owners with the most lifelike picture quality available today. This firmware update is set to broaden the spectrum of HDR content available for consumers, as well as set an entirely new standard for the TV and entertainment industry at large. Furthermore, customers can enjoy this superior picture quality on Samsung’s range of curved televisions, which provide a true-to-life viewing experience paired with sleek design that fits seamlessly in their homes. Customers can choose from 28 amazing Curved SUHD TVs – ranging in size from 48-inch to 105-inch. To further provide consumers with more options to consume their favorite UHD content, Samsung is introducing the new Ultra HD Blu-ray Player which supports UHD Blu-ray disc playback. The player, which is capable of providing four times the resolution and 64 times higher color expression compared to standard Blu-ray, is capable of upscaling content to provide UHD resolution for any disc. Additionally the 4K streaming services are available. The Ultra HD Blu-ray Player features a sleek, curved design—matching perfectly with Samsung Curved SUHD TVs. Samsung WW8500 AddWash is the world’s first washing machine that allows consumers to add laundry at any point of the wash cycle, thanks to its innovative ‘Add Door’. A simple press of the pause button stops the spinning drum, and makes it possible to add laundry to the wash, whether it’s a uniform that needs to be ready for soccer practice tomorrow or a sweater or even a jeans that did not make it to the laundry pile. AddWash also provides a new level of care for delicate hand-wash only fabrics because they can now be added right at the start of the rinse cycle. AddWash is also a connected washing machine that works with both Android and iOS devices, enabling consumers to remotely monitor and operate the machine as well as receive a range of notifications straight to their smartphone. The new WW8500 Add Wash helps consumers get faster and better laundry results thanks to its SuperSpeed cycle, which can wash a normal load in less than an hour. It also features SuperSpray, which uses a jet of water to rinse detergent more effectively. The improved ecobubble™ function creates thicker bubbles that intensely penetrate fabrics 40 times faster than the usual mix of water and soap, delivering exceptional washing results even in cold water. Samsung sees cars as an important part of the emerging IoT ecosystem, and is working with several leading car makers to innovate in the automotive space. Samsung SmartThings will soon integrate with BMW cars by displaying notifications from the SmartThings Hub directly on the dashboard. In turn, the SmartThings app makes it possible to check the technical status of your BMW, and even lock and unlock it remotely. Samsung also announced details of its partnership with Volkswagen, which will offer drivers a seamlessly connected car experience, through Car Mode for Galaxy, an app that adds value to the driving experience powered by MirrorLinkTM, an industry-leading standard for car connectivity.Car Mode for Galaxy, controlled by both touch and voice powered by S-Voice, lets you take calls easily and safely, listen to your favorite playlist, or get directions to your destination ; it even reads you incoming text messages out loud. Users can enjoy all the features through Car Mode for Galaxy mobile app even in a car without mirroring functionality. The Volkswagen partnership also integrates the Volkswagen Car-Net e-Remote app. The app connects the new Samsung Gear S2 with a range of Volkswagen vehicles, enabling seamless interaction right from your wrist. Whether locating where you parked your car, turning on the air conditioning before you return to your car on a hot day, or managing the battery levels of your electric Volkswagen car, Samsung and Volkswagen take the link between automobiles and wearables to a new level. Samsung will be exhibiting at IFA 2015 from September 4-9, 2015, based in the CityCube at Messe Berlin.